As human beings, we always crave for something better. Whether you already have an existing website or whether you are starting out afresh, at some point of time, you would definitely feel the urge or want to change the theme of your WordPress website. The reason might vary, such as: to make it more beautiful, aesthetically pleasing or more creative. Whatever your reason be for switching your theme, I applaud you for taking such a great step for your website or blog. 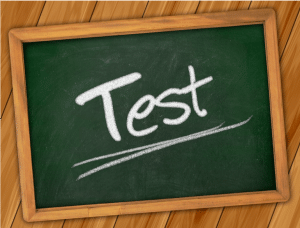 Before you take this crucial step, there are some extremely important points to consider. If you change your WordPress theme in a haste, it might result in some parts of your website not working properly which may result in inconsistent or bad user experience, I am sure you obviously would not want to take such a risk. It is extremely important that before you take any important step in making changes to your website, you should take a backup. If you do not take a backup, before changing to a new theme, it might result in making your website non functional in certain areas. 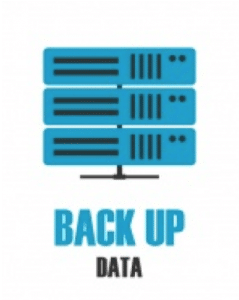 Taking backup of your current website will help you to be prepared to return the website to its original state in case something wrong happens to the website. There are two ways to take backup of a WordPress website, you can either take it manually via Cpanel or you can take it automatically by using one of the reputed backup plugins such as Updraftplus, Backup buddy from Ithemes, Duplicator Pro etc. When you make some changes in your WordPress website, it might result in impacting your website's load speed. Switching your WordPress to a new theme is a big change for your website, so it might impact your website's load speed. 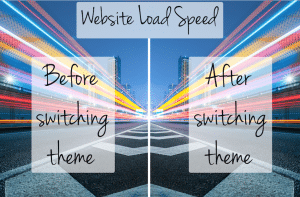 To make sure that your website loads up quickly and that it does not become slower with the new theme, you can note the Website load speed before switching and after switching the theme so that you will be able to compare the load speeds. The website loading speed should be as low as possible to make the user experience good. In case there is a change in the page load speed, i.e if load speed increases after you switch to a new theme, that means some problem might have occurred while switching the theme, so you can then decide to troubleshoot the problem and then fix it. The above tool (tools.pingdom.com) will give you a detailed analysis regarding which are the areas of your website that are loading quickly and which are the areas that need attention, so it can help you to troubleshoot and fix the issues. In case, you are not that tech savvy with WordPress, you can ask your WordPress developer to fix those issues for you. Just as an example, I did a sample test for a website on tools.pingdom website, In the below image, you can see that the tool has graded certain areas of website as B and F, The tool further gives more information on how to work on these areas on clicking the down arrow button on the right side. Google gives scores to every website with respect to how fast a website is. You can check through their FREE tool how your website performs in the eyes of google. The tool also gives suggestions that you can use to make your web site faster. Sometimes by changing a WordPress theme, your google page speed scores might drop. So, it is a good idea to check your score before switching the theme and after switching the theme so that you can rectify in case your desktop or mobile score gets dropped. 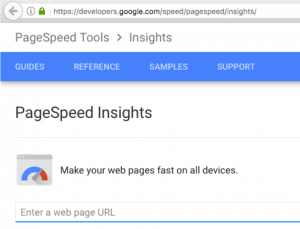 Once you get the score, google page speed insights also tells you which are the areas on the website that need improvement. It should have good number of active installations, the more the merrier. Whether you go for free or premium theme, choose a company that has a proven track record from reputed companies, otherwise you might have to face issues. When I started my blogging journey on WordPress many years ago, Initially, I used to use free themes and at times I used to download it from websites from internet, not knowing that it might prove harmful. It was only when my website had got hacked that I realized It was a blunder. I was fortunate enough to have restored my website in a few days, but I learnt my lesson from that incident and since then, I have been only using premium themes on my website as well as I recommend using either only free themes from the official WordPress directory or using premium themes from reputable sources. It also happens that some people prefer installing low number of plugins to their WordPress website and prefer to make small changes in the WordPress files instead of installing a plugin that does that particular functionality. In case you had followed any such advice from an online site and had made any custom changes to any of the WordPress core files, you will need to note those changes so that you can copy the changes from previous theme file and then paste those changes in the new theme files, so that your website doesnt break. Otherwise, if you update the new WordPress theme, those changes might get lost. While you are making a switch to the new theme, users might still be visiting your website. During such time, They should not see a broken theme or a broken website. It is best to turn maintenance mode on your website when you are switching your theme to make sure everything is working smoothly. Some people prefer to use Google Analytics plugin to add the tracking to the WordPress site. Some people make changes to the file footer.php and add the tracking code given by google analytics in it, If this is something that you have done, you will need to add the analytics code again since the new theme’s footer.php will not have that code. Just to give you an example, I read about this in google discussion forums a while back: while configuring google analytics, some people copy pasted the google analytics tracking code in their footer tag, after some months, they updated the theme and forgot to add the analytics tracking code again in the new theme, hence they were not be able to see any visitors in their google analytics dashboard, that is when they realize they had made a mistake. A lot of people use Feedburner for configuring wordpress RSS feed. Sometimes, changing to a new theme might cause an error in RSS feeds. 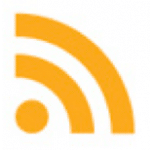 If your website has subscribers, update the RSS feed to point to the same feed url. So that all those subscribers who had subscribed will continue to get updated when new posts are created and posted on the site. Similarly, other premium themes also offer such customization options wherein you do not need to know coding and simply customize your website through those customization options. So, If your theme offers any such options and if you switch to a different theme, then the new theme may or may not have the same options. Check for any functionality that was builtin previous theme and is not there in the new theme – You will need to install a plugin that provides this functionality. Check for any functionality that was not there in previous theme and is built in the new theme – You can remove the plugins that you were using earlier to provide that functionality. Some themes provide drag and drop layout functionalities so that a user does not have to hire a web designer and such that the user can make changes in the layout without the need to make any changes in the code. In case your previous theme had a drag and drop layout and the new theme does not have it, then the layout of pages or posts might appear broken. So, you will need to check if your new theme provides any such functionality, if it doesn't provide this functionality, then you might need to adjust the layout accordingly in the new theme. Sidebar widgets are fairly simple to customize, therefore a lot of WordPress users make changes to it. 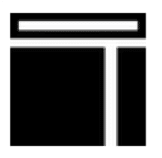 People make a lot of changes to sidebars such as adding custom html(hyper text markup language) texts, images, links, widgets. If your previous theme was a widget-enabled theme and the new theme is not widget-ready, then you will lose the content on the sidebar. If your new theme is a widget-enabled WordPress theme, then this would not a problem. A lot of website owners show ads on their sites by having a tie up with advertisers, so people might showcase ads such as Google Adsense, Buysellads, Outbrain, Taboola etc. Each advertiser has their own set of codes and design. You need to put this item in the checklist so that once you switch the theme, you remember to check that the advertisement looks good on your new theme design and that it doesn’t break on the new design. 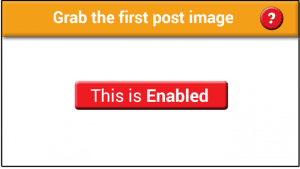 In some themes, this feature is in-built that while you are creating a blog post, you can select the thumbnail image that will appear for that particular post, in some cases, the first image in the post is automatically displayed as post thumbnail. In some themes, this functionality is not built in the theme and you need to use a plugin to do this. So, you will have to check what type of functionality regarding this is in your current theme vs the new theme. Extensively test the new theme on as many devices as possible. 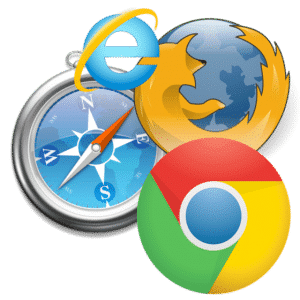 You need to test that your new theme is compatible in multiple browsers so that you do not lose out on any audience because of browser incompatibility. After doing extensive testing and rectifying any errors, Once you are sure that your site is working perfectly fine after switching to the new theme, then you can remove the Maintenance mode. 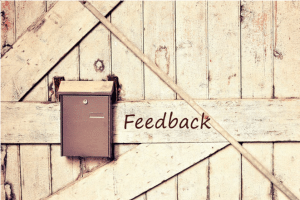 Once you have switched the theme and your website is live, you can ask for feedback and suggestions on the new look from your website visitors audience. I hope the above 17 points are helpful to you while making the decision to switch your wordpress theme. If you liked the above article, would you please share it with your friends on social media so that they can also benefit from this. PreviousPrevious post:How to Limit the Number of Archive Months Displayed in WordPressNextNext post:Do you know why your customers leave your website? Read this now to find out!